LIMITED TIME OFFER! Two Tickets for ONLY $25! (And that includes most of the fees!). Total with all fees and taxes - only $32.75 for two tickets. 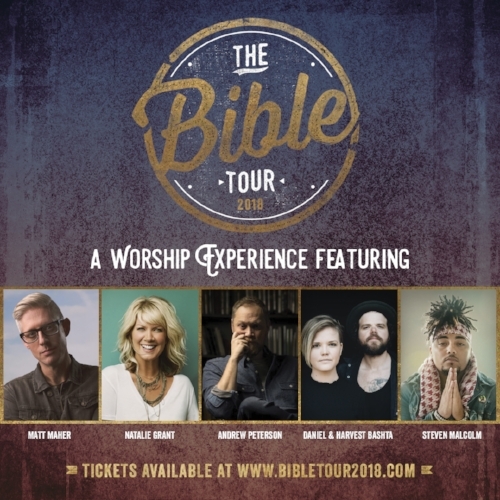 Don’t miss the FINAL YEAR and your FINAL CHANCE to see the Bible Tour! Pre-Show Meet & Greet Experience with artists - includes a photo taken by our team! Exclusive access to the private Bible Tour VIP Lounge. Complimentary sodas, water, snacks, and more. The lounge is open to VIPs before the show and through the end of intermission. VIP swag bag including a tour t-shirt, signed item, and more! ULTIMATE VIP EXPERIENCE includes all of the above PLUS a private backstage tour, bus tour, backstage refreshments, and guaranteed seating on the FRONT ROW for the show!